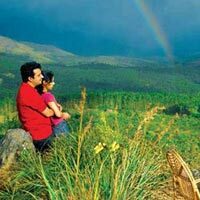 Kerala is the most popular honeymoon destination in India, particularly because of its romantic resorts on the beaches, backwaters and hill stations..
2N Munnar – 1N Thekkady – 1N AlleppeyAny meals other than those mentioned above. 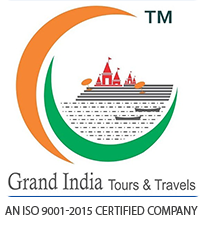 Upon arrival our representative will greet you at Kochi Airport/Railway Station. Later proceed to Munnar, which is breathtakingly beautiful, a haven of peace and tranquility - the idyllic tourist destination in God's own country. On the way you can also watch the adorable waterfalls in Cheeyappara and colourful flowers in Blossom Garden. Explore rest of the day along with the nature. Overnight stay at the Hotel/Resort. After breakfast proceed for a morning sightseeing trip of Munnar visiting the Eravikulam National Park where you can see the very rare mountain goats natively called the Nilgiri Tahr. Visit Tea Museum and Mattupetty Lake & Dam & Kundala Lake. Enroute visit Echo Point, View Point & green carpet of Tea Gardens. Overnight stay at Munnar Hotel/Resort. After breakfast proceed to Thekkady which offers diverse attractions like Periyar Wildlife Sanctuary, Hill Station and Spice Plantation. Here you can go for a Wildlife cruise to view a large variety of wildlife like Wild Elephants, Nilgiri Langur, Sambar Deer, Wild Bison and quite a lot of unique birds can also be spotted. You can recreate yourself by indulging in optional (chargeable basis) activities like Spice Plantation Tour, Bamboo Rafting, Trekking and Elephant ride. Overnight stay at the Hotel/Resort. After breakfast proceed to Alleppey boat Jetty, board the traditionally decorated houseboats and begin the enchanting backwater cruise. The backwaters of Kerala is a unique product of Kerala and is found no where else in the world. A glide in a "Kettuvallam" (Houseboat) through the enchanting backwater is sure to rob your heart. Lunch, Dinner & Overnight stay at Alleppey Houseboat. After the breakfast pack your baggages with a promise to return once again to this paradise.... Proceed on time to board your flight/train with sweet memories of your holidays. We await for your next visit ... Bon Voyage. Service ends. Expenses caused by factors beyond our control like rail and flight delays, roadblocks, vehicle malfunctions,political disturbances etc. 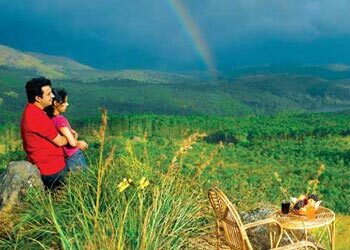 Peak season Supplementary cost for Munnar hotel in Economy Category would be Rs. 250 Per Person from 16 April to 10 June 2016 would be applicable. Supplementary cost for Ac Dlx. Houseboat instead of hotels at Economy, Standard, Deluxe & Superior Category would be Rs. 2,200/- Per Person & Ac Premium Houseboat @ 3500 Per Person. Supplementary cost for Ac Premium Houseboat instead of Alleppey hotel at Premium category @ 3500 Per Person. The above rates are valid for the mentioned period only and subject to change without any prior notice.